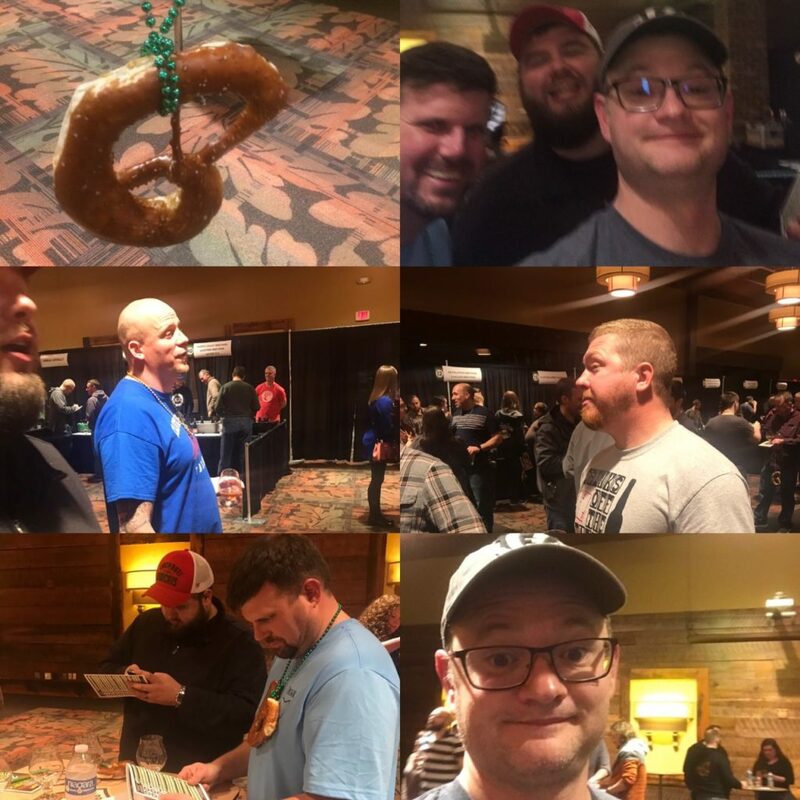 This past Saturday night a group of friends and I took to the snow covered streets and found our way to Jungle Jim’s in Fairfield, OH for one of the Cincinnati area’s best beer events of the year. What makes this beer fest different from all the others is that this one only features barrel aged beers. One might think the selection would be limited or repetitive but brewers are pretty creative these days. 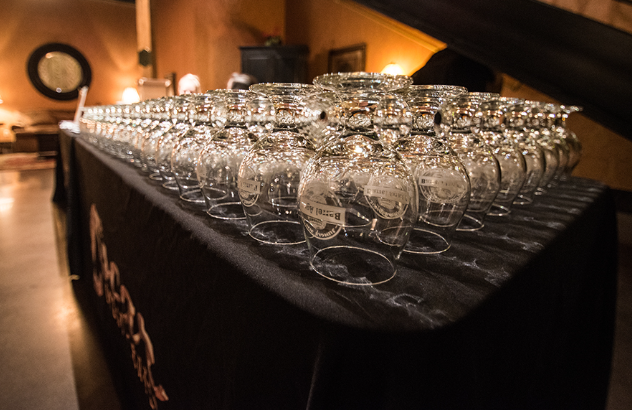 The event featured beers aged in whiskey, bourbon, tequila, wine, and rum barrels. All of which give the different beers very different flavor profiles, but I won’t get too technical with that, this is about the event. Jungle Jim’s was courteous enough to put this year’s beer list online before the event which really helped with our strategy. Why was that important? Well, we wanted to make sure we hit the best beers the event had to offer before they ran out. The one that topped our list was Appervation from Jackie O’s in Athens, OH. More on that later. We put together a list of beers, ranked in order from highest untapped rating to lowest and checked off the ones we had previously drank. We got to the event early enough to walk around and shop in the international market (my wife sent me with a list) and transfer over our beer list with the booklet that they give you at the beginning of the event. We were extra about it. The beer bash was held in their Oscar event center upstairs. After checking in you got your event tulip glass, scorecard and from there you were free to roam around until the event started at 7. 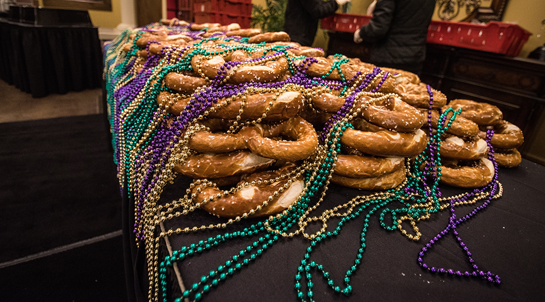 I immediately found the pretzel table, grabbed one, and found a table to stand around until the pouring started. Everyone in our group pretty much did the did the same. In addition to Servatii pretzels they offered food from Hoboken Eddies Gourmet and ChiliRocks Chili . All came in clutch throughout the evening. Luckily for us the place was not packed at all. There was a decent crowd but previous years and nicer weather made the event almost shoulder to shoulder. This year there was plenty of space to move around thanks to the pending white death that hit just as the event was ending. When the clock struck 7 we headed straight for the table with Jackie O’s to get the first of the Appervation. It did not disappoint at all. A close second came from Cincinnati’s own Listermann Brewing with the Peach Brandy Imperial Chickow! It’s everything you need in a beer. A brown ale that really highlights the peach and the barrell. 4.75/5. Taft’s Big Silky and Rhinegeist’s BA Ink were very good as well. Epic Brewing (Salt Lake City, UT) had a very interesting and delicious beer there called Sour Brainless on Peaches. It’s a peach gose which sounds like one thing but I’d compare it to a pink lemonade which makes it a beer I want to track down again come spring and sunshine. Finally, as far as beer goes I learned of a new brewery at the event. Cascade Brewing out of Portland, OR. They had 4 different barrel aged sours available, all were pretty good, the Midnight Bramble was my favorite thought. Berry as well as ginger flavors were very evident in this one and it was quite good. I want to see what else they have to offer now. We got our tickets early for the pre sale price, $50. They were $60 at the door. You go 20 samples of beer, the tulip glass, any stickers that the breweries brought (I probably got 10-12), and the food, snacks, and water. Not a bad deal considering the rarity of a lot of the beers they featured in the event. Our group all had a blast and all agreed to check it out again next year. Some pictures of our group captured by friend of the blog, Terry M.
At the last second I jumped on the Cincy Brew Cast with the Gnarly Gnome himself to talk about the event I’ll post the link to the podcast as soon as it’s up!